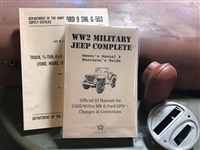 Workshop Manuals for your G503/MB/GPW/WW2 Jeep. At this price, you can afford to get 'em greasy! 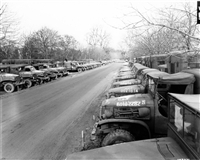 Bantam, Ford & Willys competed for the contract to produce what become known as the "Jeep". Tech and parts manual bundle for their submissions. Super cool! 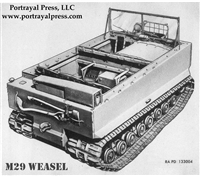 All the information you need to restore & operate a Studebaker Weasel. Comprehensive technical library to operate and restore an MB/GPW/G503 Jeep. Everything you need except ambition! The M715 Series of "Kaiser Jeeps" have a confusing set of options when it comes to selecting manuals. We own them all, have looked at them and have selected the best of the bunch. Click and buy! 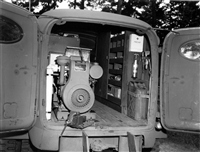 Exactly what you need to restore, maintain & operate a T16 Universal Carrier. Exactly the information you need to restore or maintain & operate an M38 Jeep. A package deal of the technical manuals we recommend for GMC CCKW/G508/Jimmy Owners. Big league savings. One click to G509 information nirvana. Knowledge is power! If your DUKW quacks, maybe you need to buy the damn manuals! All the manuals plus the definitive reference book on the G506 at a great price with free US Shipping. Makes us smile too! 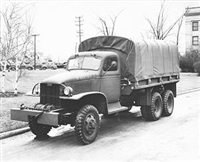 Bundle - Pacific M26 "Dragon Wagon"
Big vehicle, Big Bundle of Manuals. A package deal (Save $ Big Time) of the manuals we recommend for GMC CCKW/G508/Jimmy Owners + 2 important reference books. Insta-library! Super Bundle M1074 HET "Heavy Equipment Transporter"
Before you start whining about the cost of these manuals, remember that a forest was sacrificed to print them - 6,000 pages!